Dog owners have long believed that their four legged companions could sense different moods and feelings and that they are able to recognise their emotions. But believing something to be true is not the same as knowing it from a scientific perspective. History is littered with examples of firmly held beliefs which were subsequently found to be false. In the case of dogs, some have argued that our belief in their abilities is really a projection of our own thoughts and perhaps hopes too, says Natalia Albuquerque. Research from the University of Lincoln, UK, and University of São Paulo and Federal University of São Paulo, Brazil, has now shown for the first time that dogs can obtain emotional information from our facial expressions and voices and integrate this information into some form of mental representation of emotion. 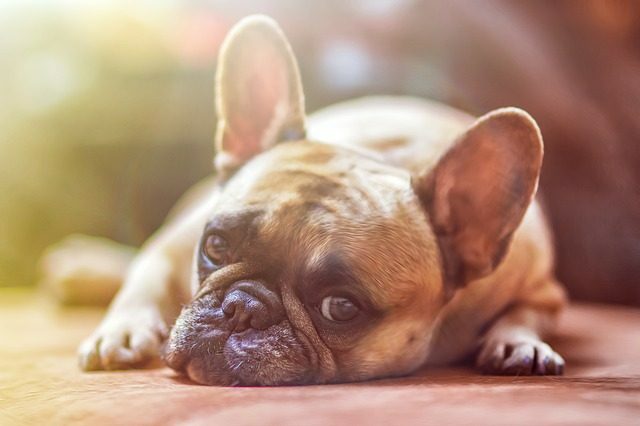 This new study, published in the prestigious journal Biology Letters, shows that dogs have this form of emotional recognition not only for other dogs, but also for humans. The ability to categorise emotional expressions of members of the same species had only been previously demonstrated in primates and this capacity towards individuals of another species was not known outside of humans. Previous studies have shown that dogs could discriminate different facial expressions and that they show varying responses when facing emotional displays of different valences. However the new study showed that our 'best friends' can go even further, they don’t just discriminate or know how to respond to these expressions, but they must also have some form of mental representation of the emotional expression of others. Also, researchers used an unfamiliar language (Brazilian Portuguese) with the British subjects to rule out possible previous learned associations, and guarantee that the dogs’ responses were being triggered by the emotional features rather than experience with any of the words. The researchers recorded dogs’ spontaneous gazing behaviour (towards each screen and out) and analysed where they preferred looking at. Seventeen adult dogs (9 males and 8 females) of various breeds took part in the study. In this experimental set up, the idea was to determine if dogs can integrate the information from the two sources (visual and auditory cues), if so they would look longer at the image which is the emotional match for the sound. This is exactly what they found - the dogs looked for longer towards the positive face when they heard the positive sound, and longer towards the negative image upon hearing the negative vocalisation, regardless of species, gender, valence or side of presentation, and when they heard the neutral sound there was no preference. The dogs showed a greater ability to do this with the emotional expressions of other dogs. It is likely that the ability of dogs (and possibly their wolf ancestors) to read others’ emotions enables them to communicate more efficiently with each other in the complex society that makes up a pack. Building on this ability so it could be applied to another species could also be advantageous when it comes to establishing and maintaining relationships with humans. It is possible that this ability has been selected, even unconsciously, during the domestication process, or it could be that it happens naturally in response to living closely with humans. Our relationship with dogs is long lasting and unique in the animal kingdom. There is a growing body of evidence that suggests canines seem to be especially tuned into not only our behaviours but also our feelings, and this may be the key to understanding the special bond that develops between us. Studying how non-human animals perceive the world is very difficult because we cannot just ask them what they feel and how they see things. Therefore, scientists must be creative and use elaborate methodologies to establish what they can (and cannot) do, and how they do it. While they may seem to have many human like abilities, scientists are often surprised to find that these abilities are achieved in a very non-human way; for example by being very attentive to human behaviour, rather than having genuine insight into our minds. However this new research indicates that when it comes to 'emotional intelligence' animals might just be that bit more human-like in their abilities. Natalia Albuquerque is a biologist, Master of Science and PhD Student in Experimental Psychology (University of São Paulo, Brazil and University of Lincoln, UK). Her interests lie in understanding relationships between dogs and humans, and she works mainly on dogs’ abilities to read and understand emotions. Natalia is a dog lover, and is the member of a seven-strong family made up of four people and three dogs: Polly (Dachshund), Etta (rescued stray) and Belle (rescued Dachshund).